The Individuals with Disabilities Education Act (IDEA) states that transition planning must begin at age 16. However, transition planning may begin as early as 14 years of age. The sooner we start transition planning, the better for the young person so they can connect to ODDS (Office of Developmental Disabilities Services) and VR (Vocational Rehabilitation) services and begin the process of exploring career options and skills needed to be successful in the workforce. In Oregon, we have Transition Network Facilitators (TNFs) who provide outreach, technical assistance, and training opportunities for educators, individuals and families, and collaborate with VR counselors, providers and DD case management entities (such as Brokerages and CDDPs/counties). The TNFs are also launching a podcast series in January aimed at providing information and resources to educators, individuals and families throughout Oregon. There is a website with a wide variety of resources: http://triwou.org/projects/tcn. This includes the Transition Resource Handbook, a map of TNFs by region, and much more. There are upcoming trainings where educators, as well as VR staff and DD providers and case managers, can learn more about transition planning. These include the Oregon Statewide Transition Conference, happening March 7-8, 2019, in Eugene. In addition, ODE, ODDS and VR collaborate to put on regional trainings throughout the state. If you have any questions regarding transition planning beginning as early as age 14, or any questions regarding transition services in general, email: employment.first@state.or.us. Thank you for all your efforts as we strive to support people with I/DD to live and work in their communities. This week’s provider spotlight is on Abilities at Work who is changing the face of today’s workforce. In partnership with Portland-Metro employers they support wage-based job opportunities for people with developmental disabilities. They currently serve over 100 people through Discovery, Job Development & Placement and Job Coaching. On the west side of town they offer computer and job skill classes to help people prepare for a job in the community. For more information call 503-641-5820. You can also see some success stories on their Facebook page! Increasing provider capacity is one of the primary strategies of Employment First initiative. Today I have some exciting news to share in this area. The Department of Human Services (DHS) has issued a Request for Grant Applications (RFGA). This RFGA provides up to $750,000 to be distributed for a number of grant awards. The purpose is to expand Oregon’s capacity to provide individual integrated employment services for individuals with intellectual and developmental disabilities (I/DD). Expansion of services by existing provider organizations to provide individual integrated employment services in Oregon. Existing provider organizations may be those already in Oregon, or may be outside the state and willing to expand services into Oregon. Anyone wishing to view this opportunity or wanting to submit an application can see this RFGA at: https://orpin.oregon.gov/. The ORPIN reference number is DHS-3942-15. This grant will increase the number of qualified employment specialists that can provide Discovery, job development, job coaching and other key employment services with the goal that more individuals with I/DD will obtain, maintain, and advance in individual integrated jobs. DHS may approve a range of grant awards, with no single award exceeding $150,000, for an initial grant term through June 30, 2016. Engage the Office of Developmental Disability Services (ODDS) through Community Developmental Disability Programs (CDDPs), Support Service Brokerages and Vocational Rehabilitation through its local field offices in the implementation of individual integrated employment services for individuals with I/DD. Facility-based providers awarded grants in Oct. 2014 as part of the “Provider Organization Transformation Project” are not eligible for this grant. Proposals are due by 3 p.m. Feb. 5, 2015. Any specific questions regarding this RFGA can be directed to John Gardner with DHS Contracts & Procurement: john.f.gardner@state.or.us or 503-378-3523. Thank you all for your continued involvement, support, and advocacy for services to individuals with intellectual and developmental disabilities in Oregon. If you have comments or questions, please email them to employment.first@state.or.us. Washington County Employment First, DHS Employment First Initiative, and the Oregon Council on Developmental Disabilities present three days of practical training on customized employment for transition-aged students. This training is for dedicated employment specialists, VR counselors, and others interested in supporting those with the most significant employment challenges. Employment Specialists must be certified as Employment Providers with Oregon VR and ODDS and have completed basic trainings on Discovery and Customized Employment. The Seamless Transition Pilot Discovery materials will be referenced during the two day training. Note: this is not for entry level job developers. Following an initial 2-day training in January, participants will have the opportunity to work with Janet Stevely, Griffin-Hammis Associates in March around their specific students. Participants will be expected to engage with transition student(s) during the course of study as practical application is required for completing the class. In addition, participants are encouraged to collaborate with their locale Employment First Teams and Seamless Transition Pilot projects. *Approved Washington County participants are free. Janet is a Senior Consultant with Griffin-Hammis Associates working on the Entrepreneurship Bootcamp for Veterans with Disabilities, the LEAD Center Customized Employment Initiative, the Kansas Small Business Technical Assistance and Outreach Center, and various other customized employment projects. For the past sixteen years, Janet has operated Workable Solutions, a consulting firm based in Ashland, Oregon. She is a former special education teacher/transition specialist, and has worked on state and national technical assistance projects. Janet is well versed in microenterprise development and an expert in optimizing public benefits having helped numerous individuals achieve their employment goals through Plans to Achieve Self Support (PASS). The new “Who I Am” PSA features nine real people with disabilities. Rather than be defined by disability, these individuals are the sum of their many life roles — which includes working in jobs they love. To learn more about the Campaign for Disability Employment, go to whatcanyoudocampaign.org. The Oregon Council on Developmental Disabilities kicked off DD Awareness Month at the Oregon State Capitol this past Friday. At the event, they premiered a brand new video: “Expect Me to Succeed, I Will.” Take a minute or two to check out this excellent message and beautifully executed content from OCDD. Great start to the month! Stream OPB’s Think Out Loud episode on sheltered workshops here. As much as 61 percent of working Oregonians with disabilities work in what are called “sheltered workshops,” where they perform assembly line tasks and are paid a fraction of minimum wage — sometimes as little as 40 cents an hour. But for advocates of the sheltered workshops, these are safe, cost-effective and supportive work environments for people who would otherwise be unable to find employment elsewhere. In 2012, eight Oregonians, with the help of the United Cerebral Palsy Association of Oregon and Southwest Washington filed a lawsuit against Governor Kitzhaber and high-ranking officials at the Oregon Department of Human Services in an effort to reform the sheltered workshop system. The Department of Justice announced last week that it would join the lawsuit, claiming that these sheltered workshops violated the Americans with Disabilities Act of 1990. This is a fair for transition students, their families and educators, local business owners and hiring managers, job developers and job coaches, developmental disabilities organizations and local and state agency representatives. Don’t miss this free event! The Department of Human Services released the following transmittal this morning. It relates to House Bill 2283 and the responsibilities of school districts, brokerages, and Vocational Rehabilitation with regard to service provision for adults in transition. The content of this message was jointly composed by representatives of the Oregon Department of Education, Oregon Council on Developmental Disabilities and the Oregon Department of Human Service’s Office of Vocational Rehabilitation Services and Office of Developmental Disability Services. This same message will be distributed by the ODE, OCDD, and OVRS to their respective stakeholders. The passage of House Bill (HB) 2283 is causing some confusion regarding the implementation of services for youth with disabilities ages 18 through 21. The two main areas of concern are the provision of “other” services by non-educational agencies and the interagency agreement. HB 2283 encourages collaboration among all agencies providing services to the student. However, education, human services, Community Developmental Disability Programs, support service brokerage and employment programs cannot supplant services that are the responsibility of another agency. A copy of this bill can be viewed here. The purpose of this transmittal is to inform the field that the Oregon Department of Education (ODE), Office of Vocational Rehabilitation (VR), the Office of Developmental Disability Services (DD), and the Oregon Council on Developmental Disabilities (OCDD) have joined forces to clarify implementation of this new law, so that all partners can continue to focus on the outcomes for this group of students. Until the final education rules are in place and agreements are announced, this transmittal is providing you guidance in your work relationships with other agencies. • Students on IEPs are entitled to a free and appropriate public education (FAPE) through their 21st year, or until they earn an Oregon high school diploma. • A school district or public charter school cannot unilaterally decrease the total number of hours of instruction and services provided to students. As required by the Individuals with Disabilities Education Act (IDEA), the IEP team determines services that are needed to meet the unique needs of the student. If the IEP team determines that fewer than 990 hours should be provided, a written statement that explains the reasons for the reduction must be included on the IEP. • Transition is not a “program” but a coordinated set of activities designed to facilitate successful movement from school to post school activities. It takes the coordinated efforts of many partners for a student’s transition to be successful. • Educational transition activities include instruction, related services, community experiences, the development of employment and other post-school adult living objectives, and, if appropriate, acquisition of daily living skills and functional vocational evaluation. School districts are not responsible for the development of employment. Schools are responsible for helping develop the skills needed to reach the employment objectives. They are not responsible for identifying an actual paid job and providing the support in the job. In 1997, the intent of IDEA was to make certain that in addressing transition, IEPs were not just based on traditional academic goals/objectives, but would be addressing the post school vision of each student. Thus, in 2004 regulation for post–secondary goals was established. • The IEP must include measurable post-secondary goals in the areas of education, training, and employment and where appropriate, independent living skills. School districts are required to get the student ready to meet these post-secondary goals. Annual transition goals, transition services, and courses of study are educational requirements needed to assist the student to reach those post-secondary goals. IDEA also requires IEP teams to invite to the IEP meeting other agencies who may provide or pay for services. • The Medicaid Waiver funding cannot be used to fund transition activities considered the responsibility of education. • Collaboration among non-education agencies and school districts is permitted and encouraged in HB 2283. The hours of services that are not educational, provided during the school day, and paid for or provided by non-education agencies may be included in the calculation of the total hours of service. However, this is dependent on a mutually agreed IEP that is consistent with the requirements and program guidelines of each partner. Services provided by non-education agencies after school hours are not to be considered educational services and cannot be counted in the calculation of the total hours of service. More specific guidance will be issued once the cross-agency agreements are made on coordination of these critical transition activities. In the meantime do not hesitate to contact your state liaison for further explanation or clarification. Thank you for all you do for the students in Oregon as we prepare them to become healthy, productive and satisfied adults within their communities. Need or receiving Voc Rehab (VR), Independent Living (IL) or employment services? Been denied VR, IL or employment services? Disagree with your VR or IL counselor’s decisions about the services you receive or need? Had your VR or IL case(s) closed? Disability Rights Oregon’s Client Assistance Program (CAP) helps people having difficulty seeking or receiving vocational rehabilitation services from Oregon’s Office of Vocational Rehabilitation Services (OVRS), Independent Living (IL) centers, the Oregon Commission for the Blind, and tribal programs. CAP OFFERS INFORMATION, ADVICE AND ADVOCACY THAT FACILITATES EMPLOYMENT AND INDEPENDENT LIVING. We provide information about VR, IL and employment services and benefits, teach you how to protect and assert your rights, and inform you about your responsibilities. We can help. Call us. for individuals with disabilities. They assist people with legal representation, advice and information designed to help solve problems directly related to their disabilities. All services are confidential and free of charge. Disability Rights Oregon is tax-exempt under Section 501(c)(3) of the Internal Revenue Code. Contributions are tax-deductible. We are delighted to invite you as well as students and their families to the PROJECT EMPLOY Transition to Employment Resource Fair! This FREE event is designed to assist students with intellectual and developmental disabilities age 16-21 years of age and their families learn about the resources and services available to assist them in their pursuit to successful employment and/or higher education. We will feature a variety of workshops, speakers, and exhibitors providing information about transition and employment services. There will be representation from Support Service Brokerages, Developmental Disability Services, Vocational Rehabilitation Services, Benefits Counseling and much, much more! Have you and your family been wondering what you will be doing when you finish school? Moving out of your parent’s home? Although most students think about these questions, sometimes it is harder to imagine if you are a person with a disability. One major step is having a job. You may want this, but you and your family may not be sure how to make this happen. If you are a student, ages 16-21 years old with intellectual and developmental disabilities, PROJECT EMPLOY would like to talk with you and your family. Starting in September, we will be working with families in Washington County and the Sherwood, Beaverton, Gaston, Forest Grove, and Banks School Districts to support students towards having jobs in the community upon leaving school at age twenty-one. PROJECT EMPLOY will provide training on Person Centered Planning—which lays out a future for you, employment related supports, and advocacy. Since it takes lots of work to get and keep a job, everyone including you, your family and support team will all be expected to do their part. PROJECT EMPLOY will hold monthly gatherings starting in September and continue through the school year. One major event will be for you and your family to spend a day with your support team in November or early December creating a Person Centered Plan to lay out plans towards your future after school ends. We will be taking applications through September, but are signing-up families starting in August. We would like to hear from you, now! Tara Asai: tara.asai@arcoregon.org or (503) 706-3273. Person-Centered Planning and how to apply this to Individual Education Plans (schools), Individual Support Plans (DD services), and Individual Plans for Employment (OVRS). Developing and implementing effective school and community supports that lead to post high school employment. Peer mentoring of effective advocacy strategies that support self-determination. As a region with a mix of urban and rural that provides opportunities for learning, Washington County has been selected for the initial year of this 3-year project. In subsequent years, PROJECT EMPLOY will expand to two other regions of the state. We are currently seeking interested Washington County school districts that wish to learn with us and are willing to commit staff resources. Participating school personnel would be expected to attend an initial meeting (late August / early September), a one-day training with other professionals on Statewide In-service Day (October), six hours of training with participating students/families (November), and monthly Project meetings (December-June). 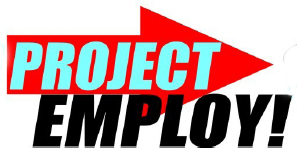 In lieu of an April meeting, Project Employ will sponsor an Employment Resource Fair where students can learn about summer internships and schools will have the opportunity to share information about their programs. Teams will have access to additional technical assistance as needed and will be expected to provide data on students’ progress. By supporting and mentoring all members of the students’ teams, the expectation is that by age 21, students will be employed in community jobs. For ages 16-20, it is expected that students will participate in appropriate vocational activities and work experiences during the school year and in jobs or paid internships during the summers. Please join us in supporting students’ transitions to work. If interested, please contact Tara Asai, The Arc of Oregon: tara.asai@arcoregon.org or at (503) 706-3273. Have you explored opportunities to work for the Federal government, but were overwhelmed by the application process? Do you want to work in an environment that embraces diversity and inclusion and the talent you offer? Are you interested in a career opportunity with benefits and the potential for career progression? Are you a Veteran with a 30% or more disability rating who wants to extend your service to your Nation? If so, now is the time for you to begin your career of service. The Office of Personnel Management (OPM) and the U. S. Department of Labor’s Office of Disability Employment Policy (ODEP) are sponsoring a historic day-long Federal Hiring Event for People with Disabilities. Representatives from many agencies will be reviewing resumes prior to the event, and inviting prospective candidates for interviews. Disabled veterans with less than a 30% rating or with non-service connected disabilities are encouraged to submit their resumes, along with proof of disability and job readiness. You will receive notification that your resume has been received. Agencies will review your resume and any supporting documentation provided. You may be invited to attend the Hiring Event via email for an interview with one or more agencies and for one or more available positions. Applicants who are scheduled for interviews must bring the required documentation to the Hiring Event, if not previously provided. Click here to visit the FAQs section. For additional information, please go to: http://www.usajobs.gov/DisabilityHiringEvent.asp . Reynolds School District in collaboration with Multnomah County School Districts presents the 2010 Multnomah County Transition Resource Fair. Independence Northwest will be sharing a table with several other metro area brokerages. The fair will include resources on jobs, self-determination, health care, housing and training available to individuals living in Multnomah County and receiving (or preparing to receive) high school transition services. 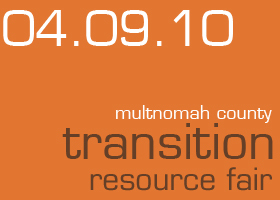 For questions, please contact Shirley Burns (503.328.0428) or Shannon Selby (503.328.0423), the co-chairs of the 2010 Transition Resource Fair. Pre-registration is required by Friday, March 11th. Each School can bring up to 10 students. 971-244-0305 or send an email to keith@incight.org. Hear from college students with disabilities about their success and challenges! Ask questions and get answers from a panel of employers who are hiring! Learn how to advocate for yourself in the workplace and at school! Get help planning for college or employment! Disability Scoop is the first and only nationally focused online news organization serving the developmental disability community including autism, cerebral palsy, Down syndrome, fragile X and intellectual disability, among others. Five days each week Disability Scoop sifts through the clutter to provide a central, reliable source of news, information and resources. Plus, Disability Scoop is the only place to find original content and series like “Scoop Essentials” that take an in-depth look at what lies beyond the day’s headlines. The Oregon Disability Chamber represents the economic development interests for entrepreneurs with disabilities starting or expanding their businesses. According to the national census report people with disabilities have a higher rate of self-employment and small business experience (12.2%) than people with out disabilities (7.8%). The Oregon Disability Chamber represents the economic development interests for entrepreneurs with disabilities starting or expanding their own businesses. Starting and running your own business is a difficult task. There are special incentives and programs that the Oregon Disability Chamber members are knowledgeable and experienced with. We can help you or someone you know take their special skills or interests and turn them into profitable business ventures; programs that will not only make them self-sufficient and productive but give them confidence and assertiveness. Let these programs work for you and get the support of our enthusiastic members who have started their own businesses and can help you with all your questions and problems. Emerging Leaders Northwest is a community, web-based information and guidance center for young adults with disabilities. The organization provides ways to develop leadership skills through workshops and trainings, mentorships and internships and an interactive website. ELN works closely with yound adults with disabilities between the ages of 13 and 30. ELN currently has internships available through: Portland Development Commission, City of Portland, PacifiCorp, State of Oregon, McMenamins, PGE, Care Medical and OHSU. For more information check out their website at www.emergingleadersnw.org and contact Chuck Davis at 503.494.3281 for more information. Independent Living Resources (ILR) is a non-profit organization dedicated to helping people with all disabilities. The agency provides services using both staff and volunteers. For class schedule see ILR’s Newsletter. Skills Instruction – At ILR we offer skills instruction, both individual and in small groups, which can help people with disabilities acquire skills to live more independently. Sports/Outdoor Recreation – For people with disabilities who are interested in sports or the outdoors please join us. We offer a variety of outings and activities. Please contact Patricia Kepler at 503-232-7411 or patricia@ilr.org if you are interested in learning more about our outdoor recreation program. STEPS Program – It’s often said that knowledge is power. STEPS empowers participants by providing information about rights and responsibilities, and helping them develop the skills needed to hire and manage Homecare Workers.Call Suzanne to sign up for the next workshop at ILR. Each workshop is from 10:00 AM until 3:00 PM, and lunch and snacks are included. Eligible participants (see below) will receive a comprehensive handbook, follow-up services as needed, and a $25 gift card. To register, or for more information, call the STEPS Training Coordinator (503) 232-7411 or email STEPS@ILR.org. To learn more about working and disability benefits, call us at 503-232-7411 or email info@ilr.org. You can also call our partners on this project, Disability Rights Oregon, at 503-243-2081. Impact NW’s mission is to help people achieve and maintain self-sufficiency and to prevent and alleviate the effects of poverty. In the 2007-2008 fiscal year, Impact Northwest served over 70,000 individuals. Their clients include low-income children, adolescents, adults with disabilities, seniors, and families. Working with schools, businesses, faith communities, community-based organizations, and governmental agencies, Impact Northwest creates a safety net and springboard for Portland residents seeking to improve their quality of life. What Can Brokerage Services Pay For? Each customer enrolled in a brokerage has a certain benefit level (an amount of support services funds to which they are entitled and may use to purchase needed services). Before any support services funds can be accessed, we first must look for natural supports in the community. This means we look to services like Vocational Rehabilitation, school districts, the Oregon Health Plan, Independent Living Resources and other organizations who offer services to individuals with disabilities first. This allows for maximum benefit to you, the customer and ensures the appropriate use of brokerage services, a taxpayer funded program. Exceed the amount in the authorized Individual Support Plan. To read more about specific types of support services options, check out the list below. Your Personal Agent can assist you with better understanding services available to you. Last Friday, the metro area brokerages (Independence Northwest, Inclusion, Mentor Oregon and The Arc Brokerage Services) held the 2009 Resource Fair. The fair was an enormous success. We’re still tallying the attendee count, but it will likely surpass 400! Special thanks to all the vendors who came and presented their resources to metro area brokerage customers. You can check out their services below. *NOTE: Not all vendors listed above provide services that can be paid for through Support Services funding. Some are natural resources and others are available through private pay. Check with your Personal Agent if you have questions. NOTE: This lecture has been canceled for the remainder of 2009. The Supported Employment Lecture, Training and Networking Series is for those interested in providing customized supported employment to individuals with developmental disabilities in Oregon. The series will be offered one day each month to discuss employment topics and connect with colleagues from across the state who are also passionate about this work! Each month different specialists will offer the most-up-to-date best practice and training on the topic. Materials will be provided via the OTAC website www.otac.org/series. “Brownbag lunch” suggested for maximum networking. Are you (or someone you know) receiving Social Security disability benefits and interested in exploring your work options? Can I work and still keep my Social Security benefits? Can I work and keep my healthcare benefits? Who can help me understand how working will affect my benefits?